Big back tires have always been the telltale sign of a true ground pounder. In some cars, it’s easy to stuff the back-end full of rubber without resorting to reconstructive surgery (tubs, moving springs, moving frame rails and so on). In others, not so. A good example of a wheel well-restricted car is the 1970 Chevy Nova shown in the accompanying photos. Sure, big rubber could fit if the wheel wells were carved out, but it’s also possible to get some big tires under the back without any real drama. You just have to determine how much “tire” can actually fit within the existing wheel well without creating interference on the inside or the lip. The big factor in running larger tires is getting the right backspace wheels. 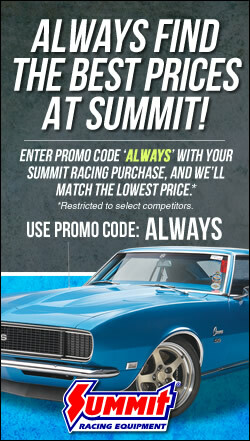 Summit Racing offers 117,000 different wheel items. You have many choices, but you have to get it right the first time as most shops simply won’t accept an exchange if the wheels show any signs of mounting (can you blame them?). Wheels are available in a wide array of dimensions. For example, you might be able to purchase a 15- x 8-inch wheel with backspaces that range from two inches all the way up to five-plus inches. This means that the tire can either be tucked up inside the stock wheel well of your car (which is good) or you’ll have to jack the car up and let it hang out in the breeze. And that’s not so good. 1. Clamp a straight edge (in this case, a carpenter’s level) on the brake drum and take measurements from the brake drum mount surface to various locations on the the inner wheel well. 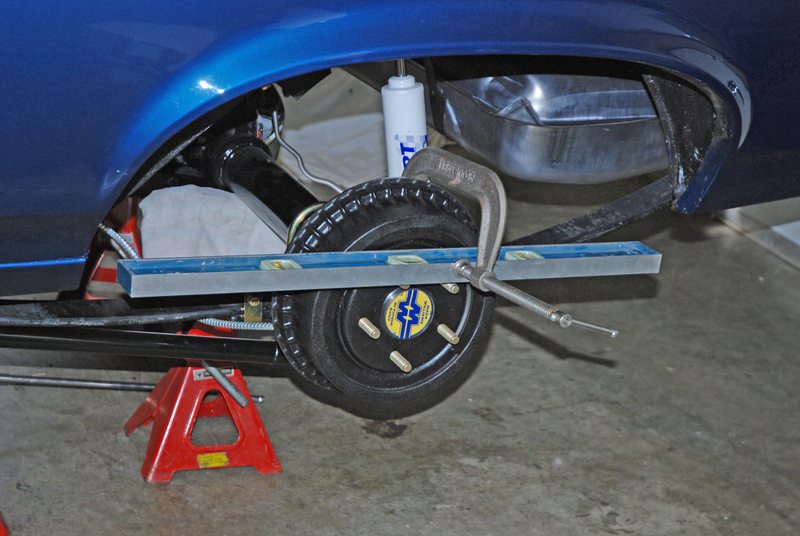 At the same time, take measurements from the brake drum to the outer body (most likely, the wheel well lip). Start at horizontal as shown here. 2. Never clamp over the axle register in the drum. The raised lip on the register skews the dimensions. 3. Repeat the process with the inside and outside measurements at horizontal, 90-degrees and 45-degrees front and back of center. Move to the other side of the car and start all over again. Why? Simple. Most cars vary dimensionally from side to side. It could be manufacturing tolerance stack up. It could be where the spring perches were welded to the housing and so on. The bottom line here is, you absolutely must measure both sides. 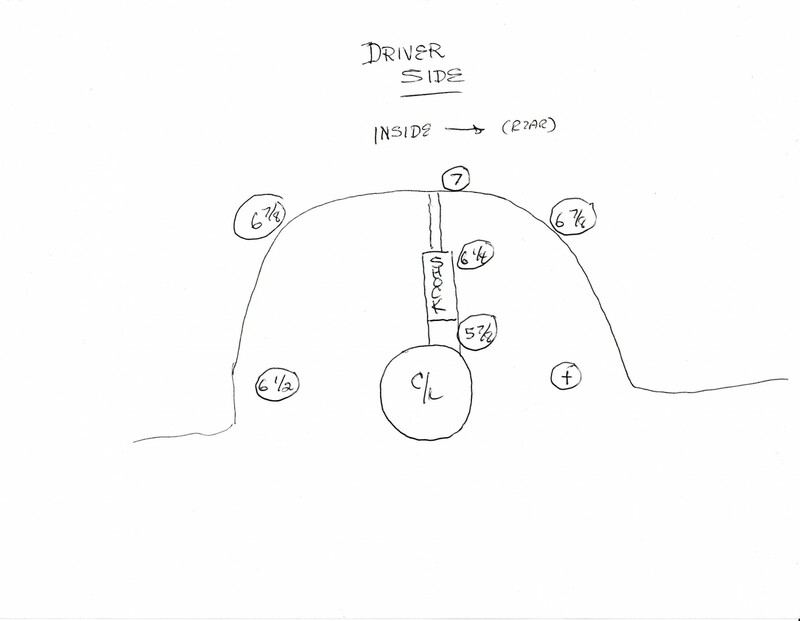 It’s much easier if you have a visual to work with when keeping track of the dimensions and eventually figuring out what will work on your car. It’s best to make drawings of both sides of the car, and have one drawing for the inside (brake drum mount surface to the inner wheel well) and another for the outside (brake drum mount surface to the outer wheel well lip). 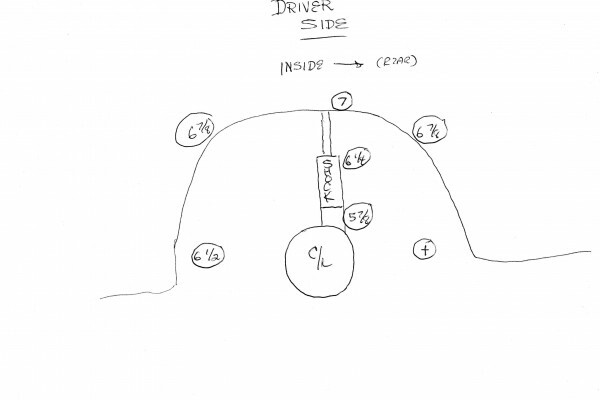 You’ll note in the drawings above, we took the time to add the rear shock. 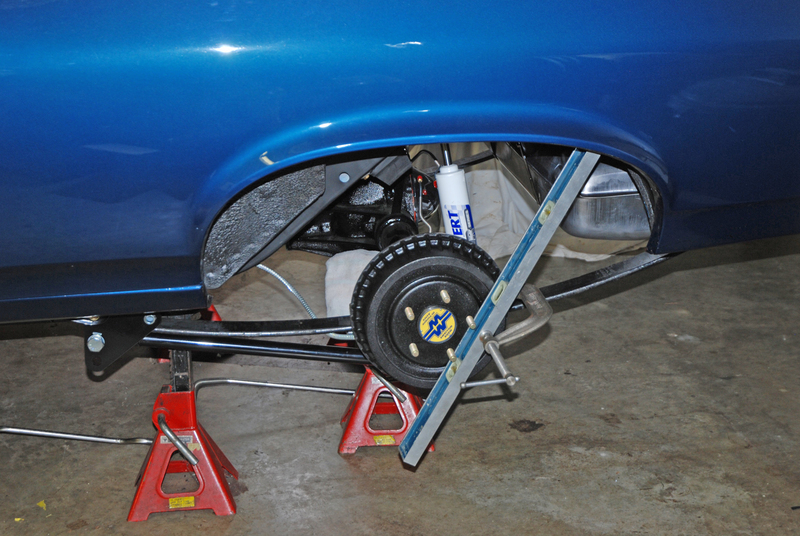 With this Nova, the shock absorber in the stock location is the first point of interference inside the wheel well. We measured the distance from the shock to the drum mount surface in two locations. The lower of the two won’t be that significant. Clearance gets tight when tire bulge comes into play (more below). We measured the distance between the leading and trailing edges of the wheel wells. On some cars, if the tire diameter is too large, that marks the first point of interference. 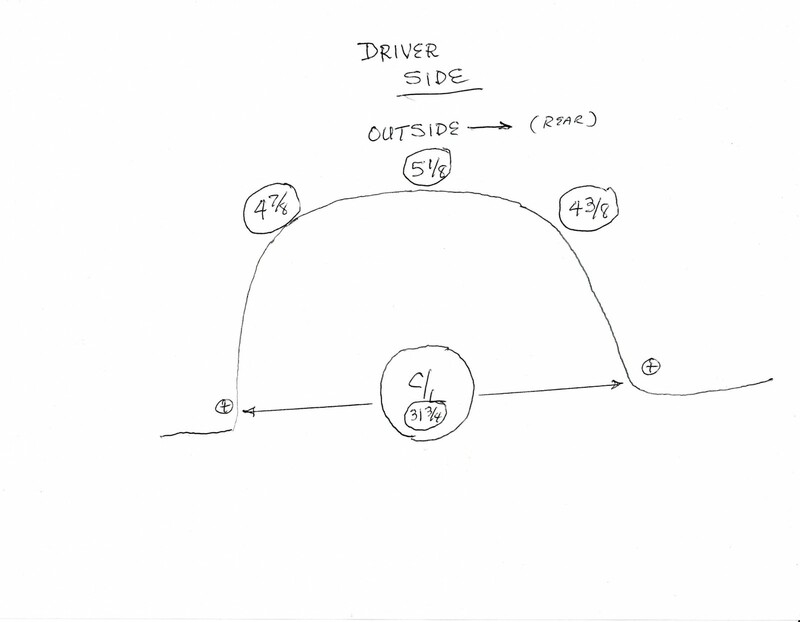 On our sample Nova, this distance is rather large, and it’s of no consequence for a street-strip tire. Each manufacturer prints a maximum tire cross-section measurement, and Summit Racing lists them (when available) for every tire sold. 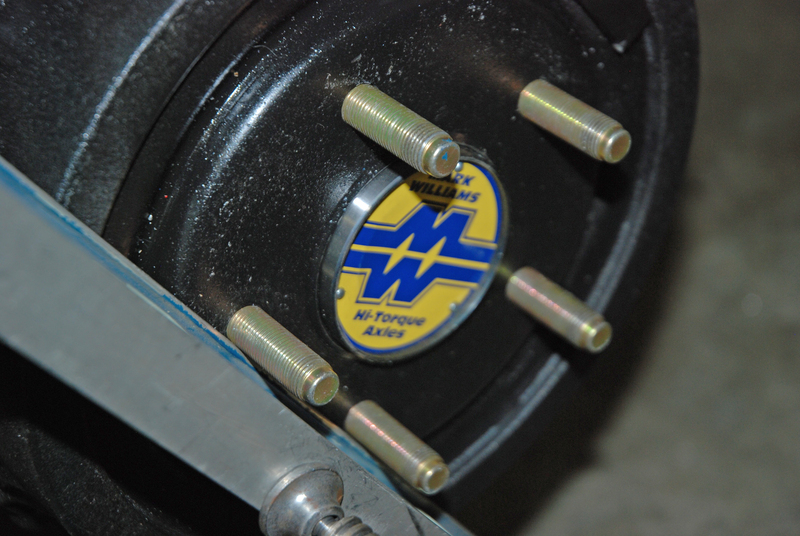 For example, an M&H Racemaster P275-60R-15 drag radial has a cross section dimension of 10.90-inches when mounted on a recommended 15- x 8-inch wheel. 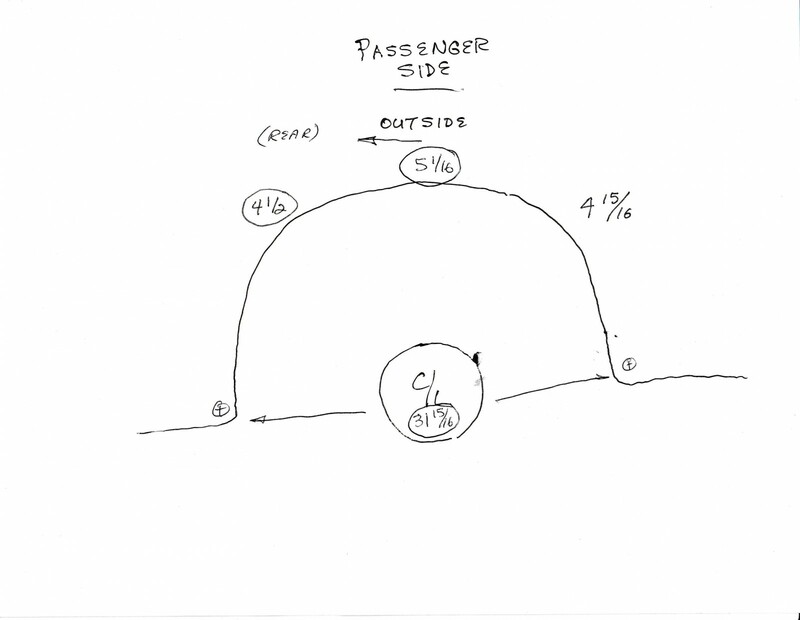 Using a 5-inch backspace wheel as an example, 62.5 percent of the tire is on the backside. It’s simple math: 5-inch backspace, divided by 8-inch wheel width, times 100 works out to 62.5 percent. 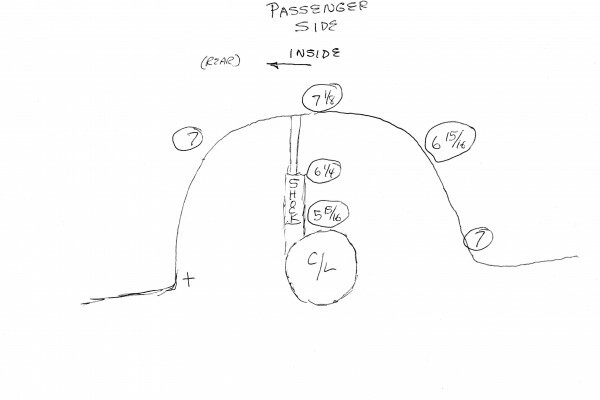 Take 62.5 percent of the 10.90-inch cross section, and you come up with 6.815 inches of tire bulge on the inside when mounted on a 5-inch backspace, 8-inch wide wheel. That leaves 37.5 percent of the total on the outside, which works out to 4.0875 inches. 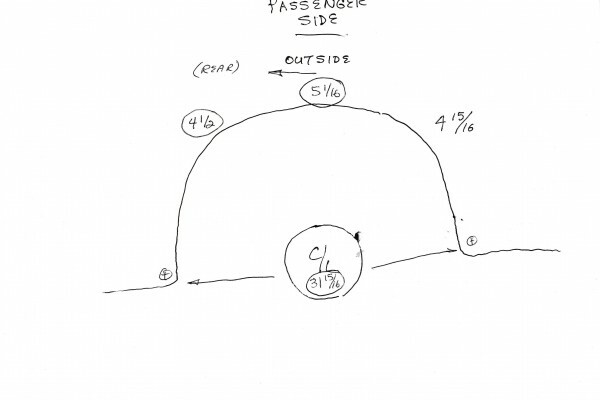 You can then use these dimensions to figure out where the tire may or may not make contact with the wheel well in your car. 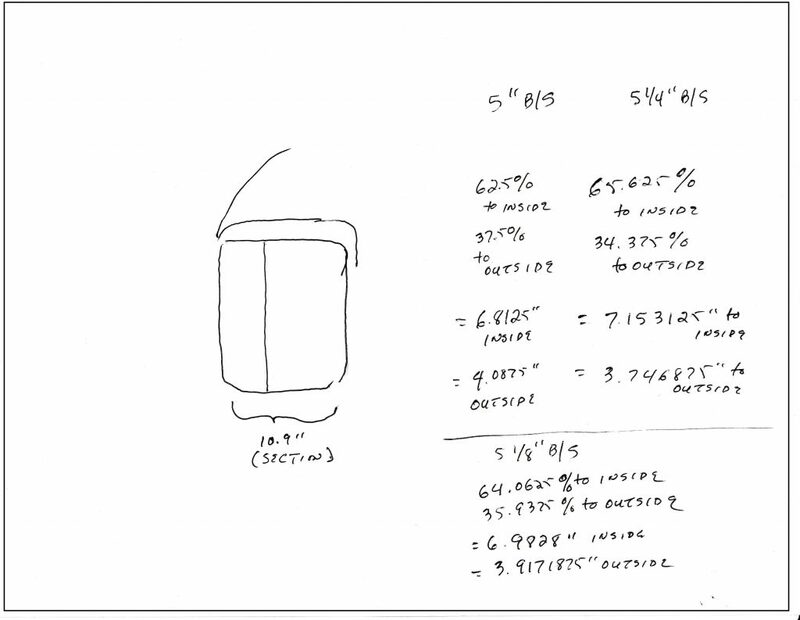 Here’s another one of our rough illustrations showing how we came up with three possible combinations for our sample car. If it does interfere, the solution is to swap out this Grade 8 bolt on the lower shock mount for a shock stud. 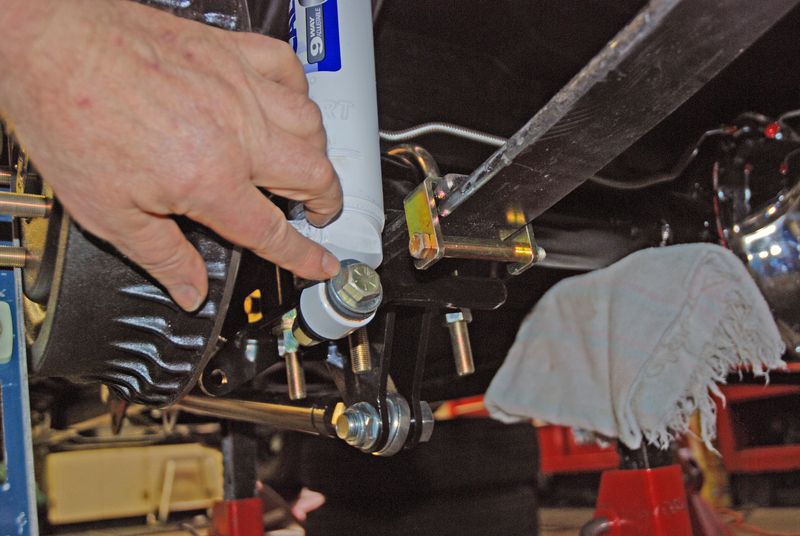 The shock stud can be bent a few degrees and that will effectively rotate the shock away from the wheel. 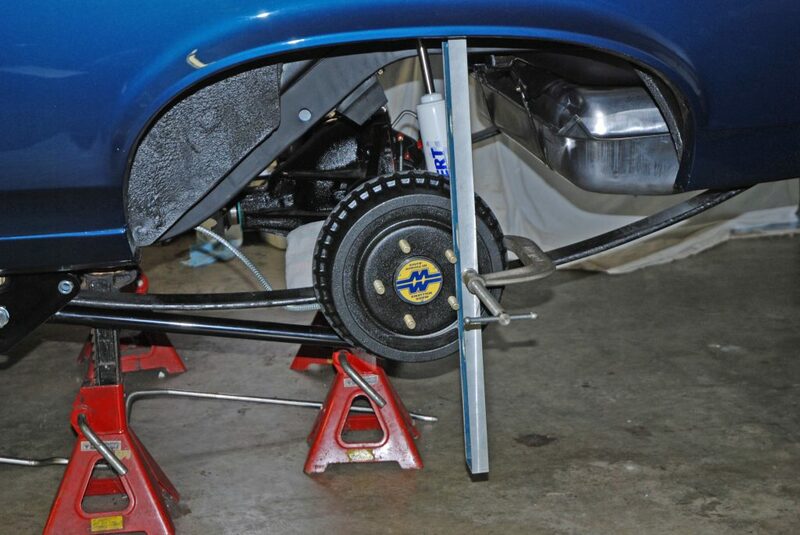 You can’t go too far because cars such as this Nova use a double bolt tie bar for the upper shock mount, which can lead to shock bind. As you can see, it’s a pretty easy way to check for wheel dimensions. Remember when we said there’s another method? 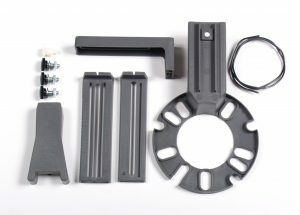 The Percy’s WheelRite Wheel & Tire Fitment Tool (left) bolts onto your vehicle’s hub to simulate bolt pattern, wheel diameter, wheel width, backspacing, as well as the tire profile. The WheelRite gauge system allows you to simulate a number of different sized wheels and tires on the car. It’s designed for most common 4- or 5-lug wheel bolt patterns and will accommodate wheels between 6 inches and 11 1/8 inches wide and tires between 15 to 30 inches. The maximum backspace it can measure is 10 ½ inches. It’s a cool tool and it’s easy enough to use. As you can see, stuffing your back fenders with big rubber isn’t that tough a job. Just be sure to measure twice before you order the wheels and tires. You won’t be sorry! Author: Wayne Scraba Wayne Scraba is a diehard car guy and regular contributor to OnAllCylinders. He’s owned his own speed shop, built race cars, street rods, and custom motorcycles, and restored muscle cars. He’s authored five how-to books and written over 4,500 tech articles that have appeared in sixty different high performance automotive, motorcycle and aviation magazines worldwide. Very nice job. 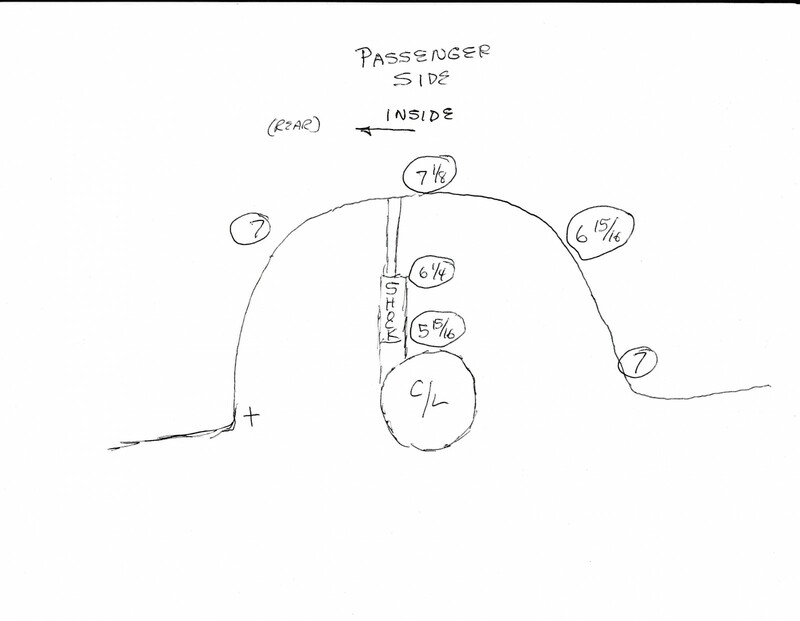 Since I own a 70 Nova, I came to the same conclusion several years ago for the back spacing @ 5″ also. Nice write up. 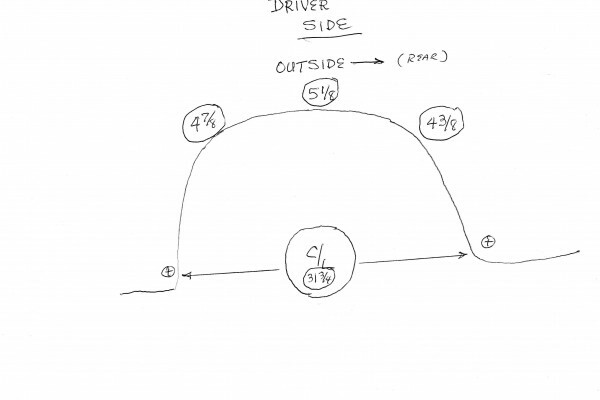 This does not take into account spring travel and camber change through range of motion.